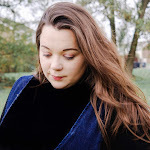 A sunflower challenge is always something that I remember doing along with my brother and sister behind my Nan and Grandad's caravan. It's something that we always looked forward to every summer, I don't know how but my brother always seemed to take the lead, but I do remember winning one year. Just one, mind you. But it feels really good to try and carry on a family traditional and set a sunflower challenge with my daughter. It will be such a good way for us to get into the garden. Sunflowers are by far the easiest and most rewarding to raise from seed, with impressive, long-lasting flowers, which why the sunflower is an ideal plant for growing with children. Sunflowers look equally magnificent in borders or as cut flowers. Along with GBC we are taking part in their #SunflowerGrowingChallenge Campaign. GBC are an outdoor garden building and gardening accessories brand who stock beautiful outdoor buildings such as log cabins, summerhouses and playhouses. 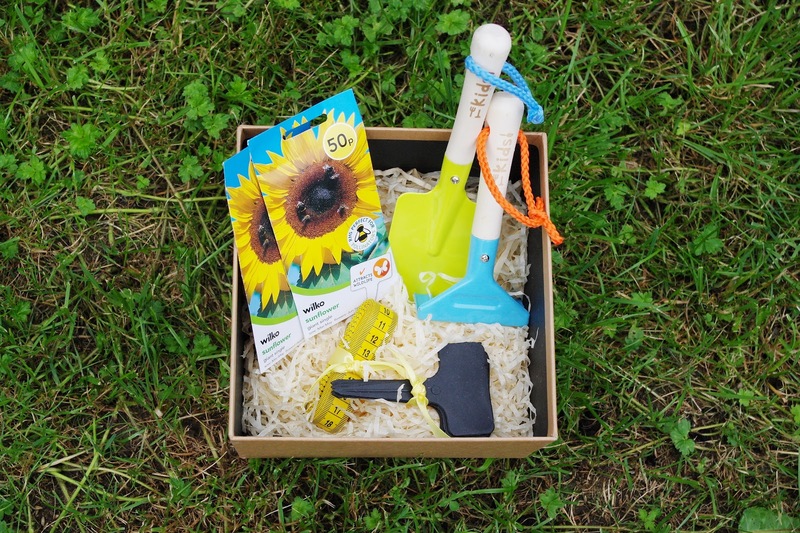 With summer just around the corner, and with it being the perfect time to plant sunflowers, GBC have kindly sent us all the things we all need to take part in their #SunflowerGrowingChallenge Campaign. 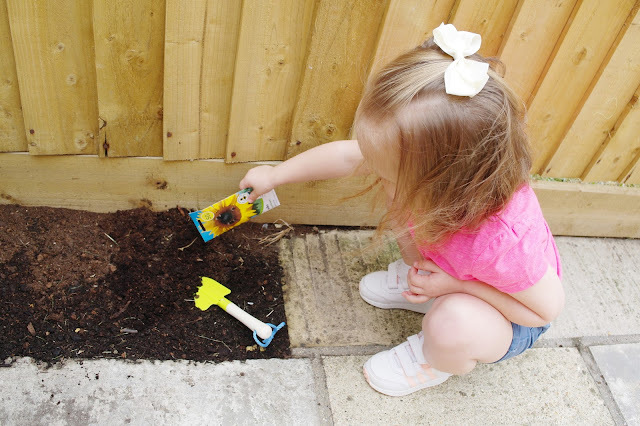 To help encourage us all to get outside with the little one so we can all enjoy the garden. Sunflowers can grow anywhere from two to fifteen feet tall depending on the variety, and their seeds can even be harvested and enjoyed as a delicious snack. 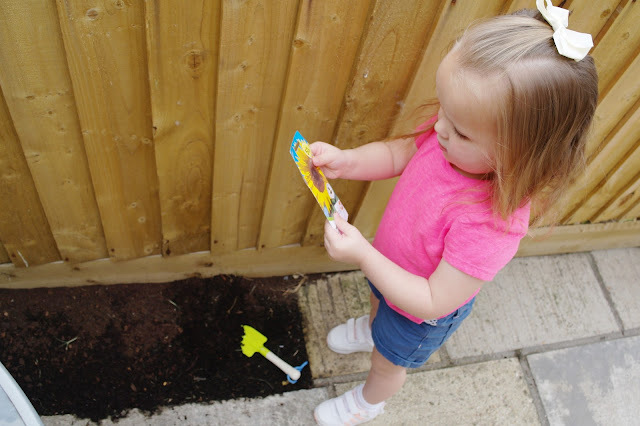 We couldn't wait to get started and with the help of my brother who is a gardener we came up with three easy steps to plant our sunflower seeds. 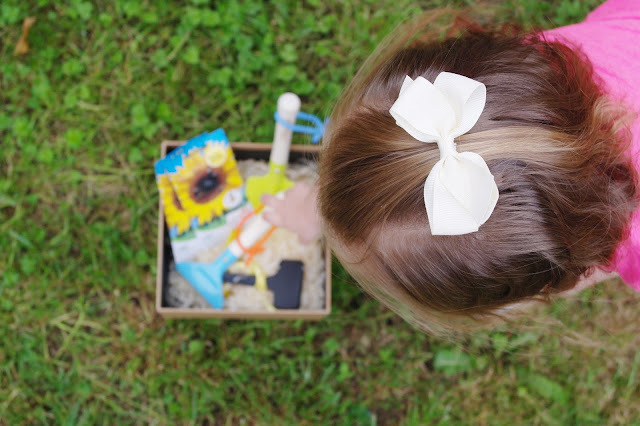 It was a great way for both my daughter and I to learn how to plant, maintain and hopefully when our sunflowers grow learn how to harvest them too. Choose a variety of sunflower that fits your garden needs. While most sunflower varieties grow to be several feet tall, there are some miniature varieties that peak out at under three feet tall. GBC provided us with Sunbeam seeds that are a giant single variety, standing at about five feet tall and producing flowers about five inches in diameter. Sunbeam flower petals are long and asymmetrical and the flower centre is often yellow, making for a dramatic addition to any bouquet. Sunflowers thrive in warm to hot climates with full sunshine during the day. So choose a place in the garden that is perfect for your sunflower to grow and if possible try and shield from the wind. We decided to plant ours in my daughter's part of the garden which gets the sun all day and is near a fence which protect the sunflowers from the wind. STEP 1: You can choose to either pot your sunflowers or sow them straight into the soil. Use a good compost and fill your pots about 1cm below the rim. Tap each pot to settle the compost and firm gently. We set ours straight into the soil, this part of the garden is especially for our daughter and her plants, flowers and fairy garden. STEP 2: Make sure you place the seeds carefully in the ground and cover the seed with about 1.5cm of compost. Label each pot or space and water well so that the compost is just moist throughout. STEP 3: Feed with all-purpose fertiliser twice, once in mid-June and again in August. Whichever method you decide to sow sunflower seeds the flowering should occur in August. I guess this one goes without saying really, water your sunflower once or twice a week. Never let your sunflowers dry out – look out for wilting leaves. Be aware that it’s a long way up a tall stalk to nourish the growing tip of a sunflower! When I had my sun flower challenges with my brother and sister, my Grandad would always stake our sunflowers, so stake yours when necessary. Especially if you're in a windy area. To harvest the seeds, cut the flower heads off when they begin to droop, or when the back of the head begins to turn yellow. Hang them upside down by the stem in a dry, breezy place and cover with a paper bag to catch seeds as they fall out. Will you be taking part in the #SunflowerGrowingChallenge Campaign? 3 comments on "The Sunflower Growing Challenge With The GBC Group"
Such a lovely idea to plant something and watch it grow. Especially sunflowers, they are so lovely and cheery. Plus the competitive element helps too! We're off to France soon and will be surrounded by these lovely cheery flowers!